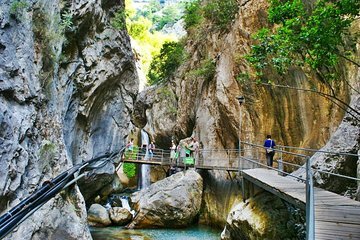 Go deep into the Taurus Mountains on a full-day Jeep trip to Sapadere Canyon, where you’ll visit a traditional village and find a spectacular waterfall. Meet a Turkish family in their village home, share a glass of tea or coffee, then learn about Islam at the village mosque before setting out through Sapadere Canyon. This 7-hour tour includes hotel pickup and drop-off, entrance fees, and lunch.